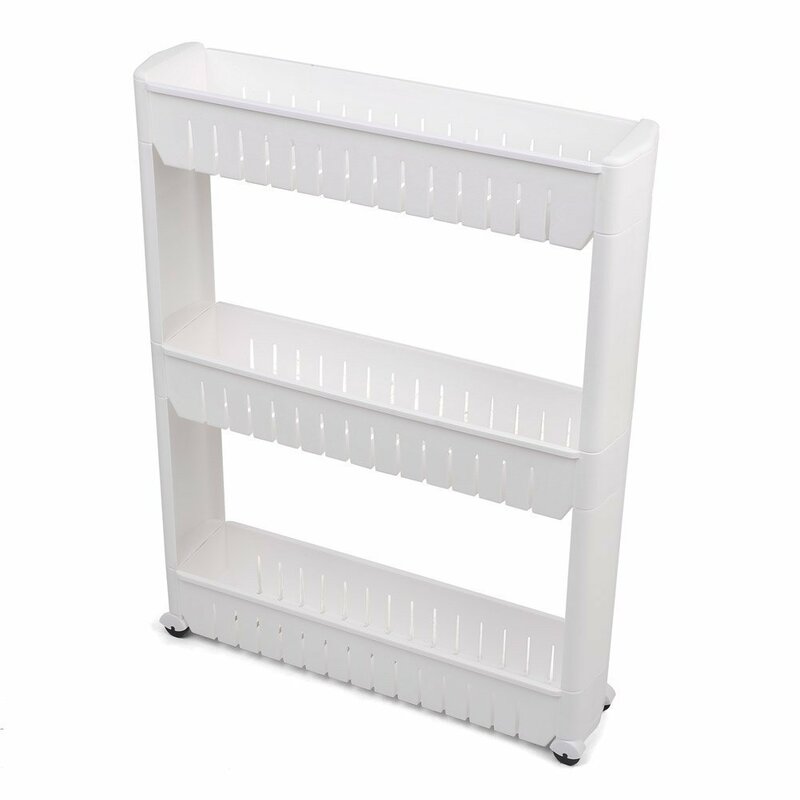 Its width is about 13cm/ 5 inch, very slim and can be placed well in a certain position, a wonderful storage rack suitable for kitchen, washing room, drawing room, bedroom, office, etc. Save spaces, at the same time, make your room look clean and tidy. Built-in removable wheels, can be stationary if you want, tall enough that no need to bend over, convenient for you to get the items you want. Detachable rack design, for easy to clean. Durable hard plastic, safe to use. Sturdy and easy to assemble.